Did you know Pak Mail can make the holiday season less stressful? 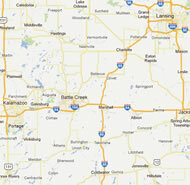 Pak Mail of Battle Creek can pack and ship all your holiday items and gifts so they arrive safe and on time. Then you can enjoy the holidays with your friends and family, they way it was meant to be.